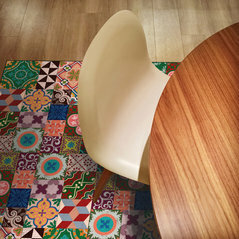 AUTHENTIC TILES AS STYLISH RUGS ADAMÁ is presenting its vinyl rugs collections as a new decorative flooring solution. 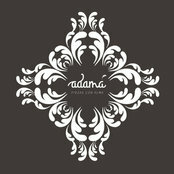 ADAMÁ brings an original design concept to dress up a space with elegance and style. AMBIENCE WITH GREAT BEAUTY Dress up your floor with a modern and contemporary design. ADAMÁ rugs easily blend with your harmony and comfort. They are very durable, scratch resistant and easy to clean. Perfect for daily use. Comentado: Convert CM to English Inches/Feet for sizes, also prices in US$....Hi Jeanne, Thank you for your request. Thanks Jessica for your quick response. If you have another question, don't hesitate to contact us. Best Regards. Comentado: SORTEO CERRADO Gana una butaca Bold de Habitat EspañaAntracita, sublime !